Welcome to Football at Scooter’s Pub. Here are a few flashbacks to amazing days here at Scooter’s Pub during Football Season. Football season is very exciting here at Scooter’s Pub. During the football season, this Scooter’s Pub filled with fans. This is a must see. Join us. The new football season at Scooter's Pub is happening. 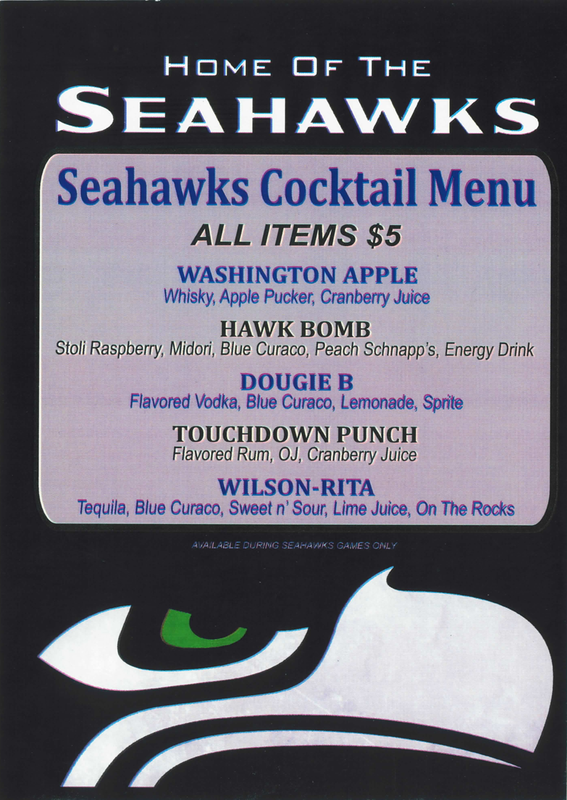 Seahawkers and football fans Scooter's Pub can't wait to see you all at the Bar today. Call and ask about our happy hour. 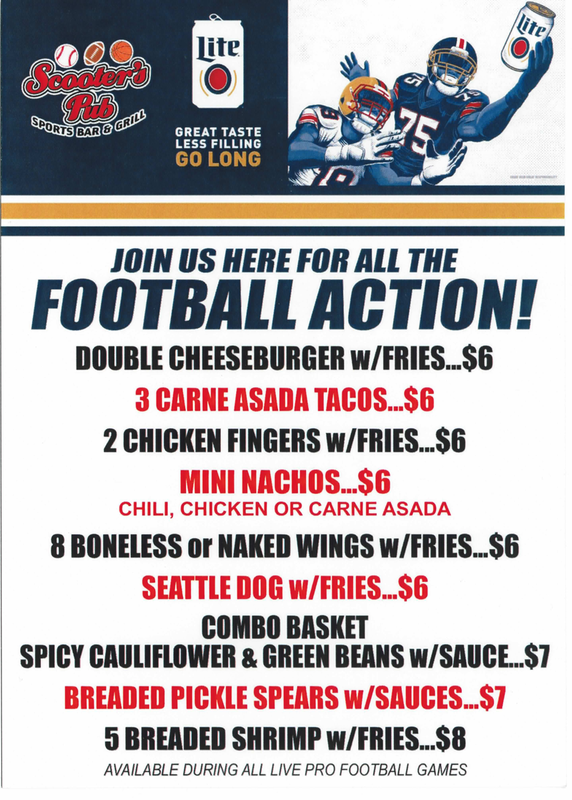 You will enjoy great food, football fans and more. Support Scooter's Pub today. 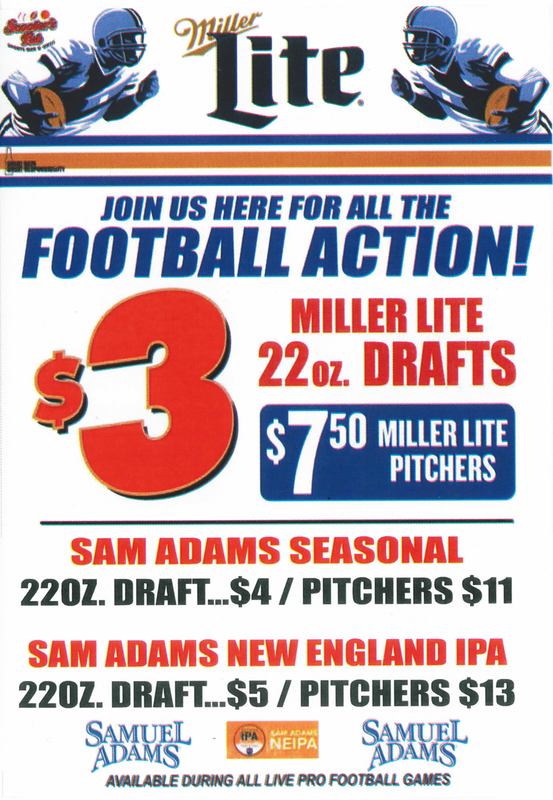 Check out our Football specials this year. To make the menu bigger simply give the picture a click.